Available to Flaviar Members only. To gain access to this drink, special releases, and other membership benefits, join the Club. Ichiro Akito. Sound familiar? It should. He founded the famous Chichibu distillery in 2008 and quickly gained notoriety for his exceptional juice. It seems that whatever Ichiro touches becomes a must-have in the Whisky world. In fact, when it comes to Japanese Whisky, his products are as sought after as the rarest Katana. Released in 2018 as one of 2,018 bottles, slated to become a yearly edition. 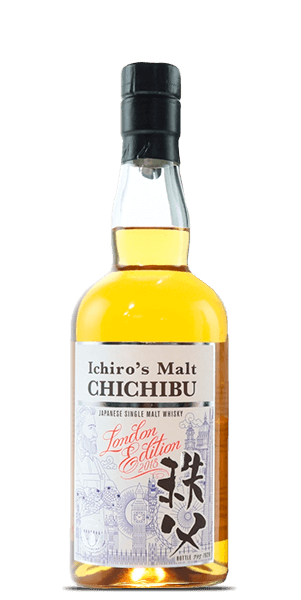 What does Ichiro's Malt Chichibu 2018 London Edition taste like? The Flavor Spiral™ shows the most common flavors that you'll taste in Ichiro's Malt Chichibu 2018 London Edition and gives you a chance to have a taste of it before actually tasting it.